in tray until time of use. 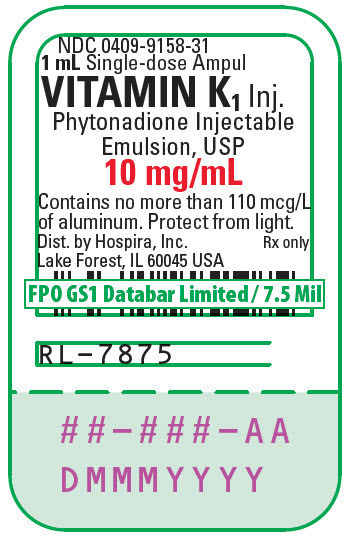 Vitamin K1 Injection (Phytonadione Injectable Emulsion, USP) aqueous dispersion of vitamin K1 for parenteral injection, possesses the same type and degree of activity as does naturally-occurring vitamin K, which is necessary for the production via the liver of active prothrombin (factor II), proconvertin (factor VII), plasma thromboplastin component (factor IX), and Stuart factor (factor X). The prothrombin test is sensitive to the levels of three of these four factors−II, VII, and X. Vitamin K is an essential cofactor for a microsomal enzyme that catalyzes the post-translational carboxylation of multiple, specific, peptide-bound glutamic acid residues in inactive hepatic precursors of factors II, VII, IX, and X. The resulting gamma-carboxy-glutamic acid residues convert the precursors into active coagulation factors that are subsequently secreted by liver cells into the blood. 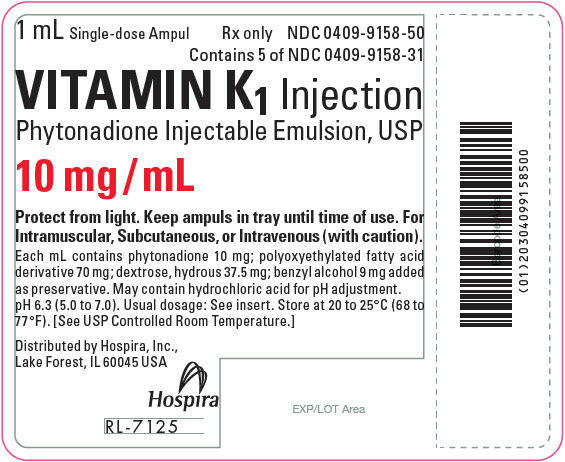 Animal reproduction studies have not been conducted with Vitamin K1 Injection. 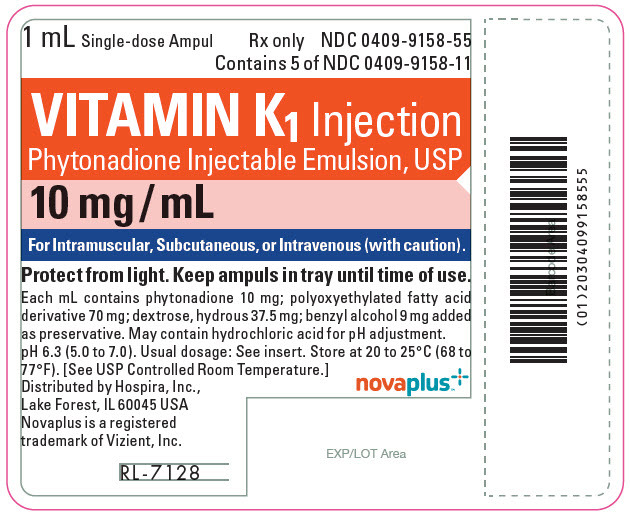 It is also not known whether Vitamin K1 Injection can cause fetal harm when administered to a pregnant woman or can affect reproduction capacity. 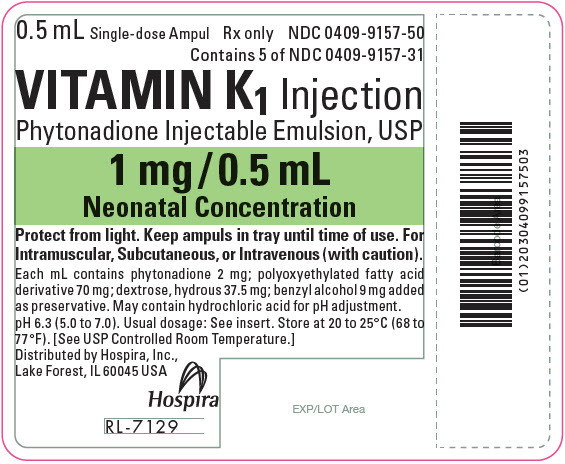 Vitamin K1 Injection should be given to a pregnant woman only if clearly needed. 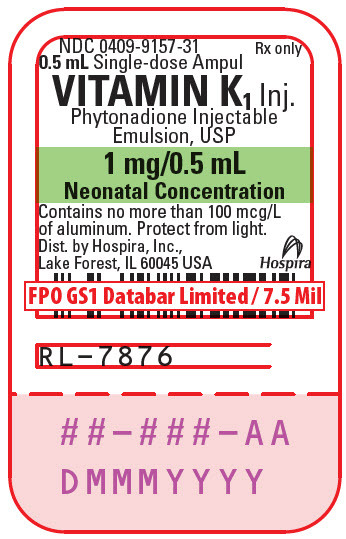 Hyperbilirubinemia has been observed in the newborn following administration of phytonadione. This has occurred rarely and primarily with doses above those recommended (See PRECAUTIONS, Pediatric Use). 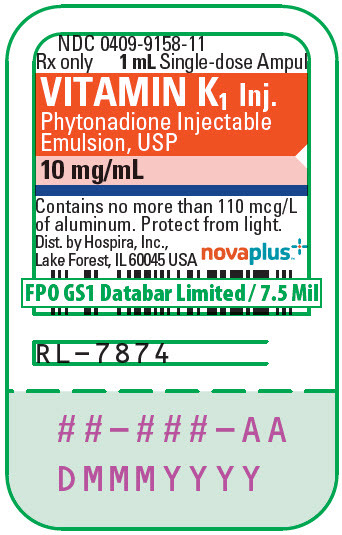 Whenever possible, Vitamin K1 Injection (Phytonadione Injectable Emulsion, USP) should be given by the subcutaneous route (See Box Warning). When intravenous administration is considered unavoidable, the drug should be injected very slowly, not exceeding 1 mg per minute. For I.M., S.C., or I.V. (with caution). hydrochloric acid for pH adjustment. pH 6.3 (5.0 to 7.0). Usual dosage: See insert. Store at 20 to 25°C (68 to 77°F).